This 2018 Fall + Winter issue includes an interview with a Madison-based environmentalist about living a life with less waste, tips on foraging for and cooking with wild mushrooms, and a photo essay of some of the Midwest’s most beautiful landscapes reaching from South Dakota to Minnesota. Tyler Anderson is a lifestyle, landscape, and portrait photographer in Lanesboro, Minnesota. He’s been interested in photography for as long as he can remember. He feels strong connection to the Driftless Region and his photography aims to show it’s unique natural beauty. Dennis Becker is a food photographer working out of his studio in the Minneapolis-St Paul area. His approach to food photography is simple compositions and embracing the perfect imperfections of real food. His lighting is natural and brings out the beautiful appetizing qualities of food. Yao Cheng is a renowned watercolor artist and designer based in Columbus, Ohio. Throughout all of Yao's work, she is always trying to capture the immediacy of expressions through color, shapes, and brush strokes. Her unique approach to this medium is defined by her use of fluid, imperfect mark-making and unpredictable colors. The result is work that is captivating and connects with people on an emotional and intrinsic level. Jack Flynn is an artist, graphic designer, photographer, musician, swimmer, and surfer living and working in Chicago. He deeply enjoys staring at Lake Michigan and jumping in at any opportunity. He is happy that you are interested in his art. Momoko Fritz has been photographing analog photography for the last 20 years and can be found making or eating all things butter in her home in Chicago. Her people filters are laughter, kindness, food and if they watch the Mighty Boosh. Michelle Gottschlich is a poet and freelance writer from Indiana. Her debut book Void Sets and chapbook How to Keep Full in February were published by Monster House Press in Bloomington, Indiana. She is currently working towards a master's degree at the University of Virginia in poetry and creative writing. Elaine Suzanne Miller works in the commercial photography industry. Her personal work continues exploring themes of death, transience, memory, and preservation. When not on-set or behind her view camera, you’ll find her enjoying life with family, friends, and her little cat, Loki. Catherine Quigg is a lifelong resident of Illinois and was one of the first women copywriters at the Foote, Cone & Belding advertising agency in Chicago. She left the corporate world to raise a family and turned her love of language to poetry, writing of her experiences in the Midwest. Her poems are short dramas or narratives that help her understand where she has been and where she is going. Katie Raymond developed a keen and observant eye while looking for Petoskey stones along the shores of Lake Michigan. She uses this skill when photographing people, places, and light that excite her. Her goal as a photographer is to establish relationships with people and enhance the art of storytelling through visual imagery. Adam Reynolds is a documentary photographer whose work focuses on contemporary political conflict, with a particular emphasis on the Middle East. He pursues research projects that balance photographic creativity with a journalist's thematic fidelity. He began his career covering the Middle East in 2007 as a freelance photojournalist. Celia Ristow is an environmental organizer, writer, and speaker on the topic of zero waste. She writes the blog Litterless and co-founded Zero Waste Chicago, the non-profit organization working to move Chicago to zero waste. She now lives in Madison, Wisconsin. Jason Robinette is a Chicago-raised, Brooklyn-based photographer. His main area of concentration is portraiture within the commercial, editorial, and film fields. He also continues to focus on personal work, such as Grey Matter featured in this issue. Lisa Golden Schroeder is co-author of Untamed Mushrooms: From Field to Table, a hybrid guide book/cookbook about foraging for and cooking with wild mushrooms in the Midwest. A veteran food journalist and food stylist for commercial photography in Minneapolis-St. Paul, she strategically wanders in the northern woods and state parks of Minnesota with her co-authors, certified mushroom expert Michael Karns, and nature and food photographer Dennis Becker. Anna Zajac is a wedding and lifestyle photographer working in the great city of Chicago. She works with people and brands to tell their stories. In her spare time you can find her cooking, making ceramics, or visiting the desert. This 2018 Spring + Summer issue includes an interview with a husband-and-wife ceramics company in Detroit, recipes created over open fires in the Northwoods of Minnesota, and a profile of a diversified, organic farm in southern Michigan. Geneva Boyett is a wedding photographer creating artful images in Chicago, Illinois, with an interest in portraits, editorials, fine art, and fashion. Her background in art and sustainability give her a unique and detailed approach to photography. She enjoys living simply with her husband and their mischievous cat. Bella Bravo is a writer living in Bloomington, Indiana. They grew up in Salt Lake City, Utah. Though they miss seeing the mountains on the horizon, they feel fortunate to have found an idealistic and creative community in the Midwest. Katie Burdett fell in love with fresh, organic produce through a few small pots on a balcony in Chicago. She has been practicing small-scale intensive farming since 2011, when she completed her certificate course in Sustainable Urban Horticulture from Windy City Harvest and Chicago Botanic Garden. After falling in love with the Michiana area, Katie and her husband relocated to Lakeside, Michigan, in 2015, where she is the farm manager for Granor Farm. Jean Cate lives and works in the Andersonville neighborhood of Chicago. She is an artist as well as owner and creator of Martha Mae: Art Supplies and Beautiful Things. Jamie + Eric Davis enjoy nothing more than to tell visual stories, whether that be about food, love, travel, or whatever else may come their way. They reside in Chicago with their two cats. They are always up for adventures and seeing new things — with cameras in tow! Becca Dilley is a Minnesota-based photographer and co-author of Master Cheesemakers of Wisconsin and Lake Superior Flavors. In 2016, she won a blue ribbon for canned watermelon pickles at the Minnesota State Fair. Her love of food and celebration came together when she documented Chef Camp. Naomi Ernest is a writer whose current work seeks connections between past and present moments. Though the written word has always been her first true love, she’s an award-winning artist and photographer. She lives with her husband and five children in a very old farmhouse — filled with art and books — tucked away in the rural landscapes of her beloved Michigan. Dave Friedman is a founding partner of Chef Camp, enthusiastic home cook, and fair-weather outdoorsman. He is a founding partner of Friedman Murray, a boutique law firm in Minneapolis. Erica Friedmann is a wordsmith, communicator, and plant-based foodie with roots in suburban Chicago. She spent her college years in Michigan, where she traversed the towns of the Great Lakes State. She is an advocate for wholesome foods, slow living, and sustainability. Although currently based in Nashville, she draws inspiration from her beloved Midwestern winters and spends her free time composing artisan vegan cheese boards and studying the French language. Adam Hester is a photographer and filmmaker originally from the Emerald City, now residing in the San Francisco Bay Area. At heart, Adam is a creative storyteller. His approach to work is down to earth and filled with hard work, collaboration, and a passionate eye for capturing the details as well as the big picture. Jules Kennedy is an artist, photographer, and yoga instructor based in Chicago, Illinois. She has always had a passion for drawing attention to the often overlooked, and recreating the beauty of the already beautiful. She seeks to make photographs that connect people to this world and leave them with cherished memories that will last a lifetime. Kaitlyn + Ryan Lawless are a husband-and-wife team that create ceramics in Detroit under their studio, Corbe. Ryan comes from a background in clay with over 18 years experience and a masters in sculpture, and Kaitlyn comes from an art background with an emphasis in graphic design. They live in an old brick house in Detroit with their two dogs, Dylan and Yoko. 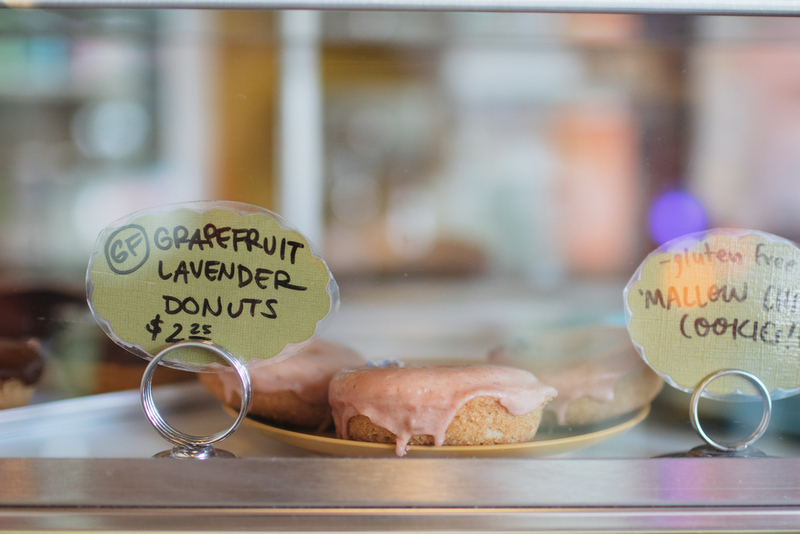 Cassandra Monroe is a food, interiors, and travel photographer based in Des Moines, Iowa. By day, she works as a food stylist assistant and spends her nights recipe developing, photographing, and styling food for her portfolio and blog. Besides photography and food styling, she has a passion for personal journaling, daily walks outside, and sharing baked goods with friends and family. Jamie Oaks enjoys exploring the upper Midwest and she’s always game for drinks and conversation. She has no more space for books, but continues to buy them anyway. Dena Steinbach is the store manager at eden, a well-curated apothecary in Des Moines, Iowa. Dena has over 19 years of experience in retail buying and management with a marketing degree. She enjoys traveling the world and spending time with her husband, Mark, two incredible daughters, and two quirky, rescue dogs. Erika Veurink is a writer living inBrooklyn by way of Iowa. She loves reading Annie Dillard, dancing to Hall and Oates, and watching Sofia Coppola films. Blue is her favorite color. This 2017 Fall + Winter issue includes a guide to all the best neighborhoods, shops, and restaurants in St. Louis, an interview with the women behind a Minneapolis-based boutique carrying ethically sourced and sustainable merchandise, and delicious vegetarian recipes ideal for camping in the cooler months. Benjamin Aslesen is a Midwest native who enjoys the unique beauty of southwest Wisconsin where he lives and works in the hardwood lumber industry. When not wrangling logs at the sawmill,he is wrangling his four energetic children.His life consists of balancing faith, family, hard work, and spending time in the great outdoors. Sherrie Castellano is a former health coach turned food writer, photographer, and pop-up chef based in St. Louis, MO. She’s created content for brands and publications both online and in print. A collection of Sherrie’s recipes, stories, and images can be found on her website, With Food + Love. Kristen Dake is a designer with an affinity for specialty ice cream, whales, and a great color palette. She is a university marketer by day and a small business owner by all other hours. Her favorite things to create for homeseed paper are comprised of doodles and quirky hand-lettering. Rebecca Dimler is the creative director of Reverse Flight Design Co., a mobile design and branding studio with offices in the Midwest and East Coast. Reverse Flight is a team of creatives passionate about stellar design and communication with clients from coast to coast. Meg Evans is an owner, manager, and hustler at Mean Mule Distilling Co. She was born and raised in Missouri and adventures daily in Kansas City. When she’s not working, Meg can be found mentoring young women in leadership and entrepreneurship, or perpetually rearranging her furniture. Mike Healy is a restoration ecologist and founder of Adaptive Restoration LLC, based in southwest Dane County, WI. Julie Kennedy is an artist, photographer, and yoga instructor based in Chicago, IL. She has always had a passion for drawing attention to the often overlooked, and recreating the beauty of the already beautiful. She seeks to make photographs that connect people to this world and leave them with cherished memories that will last a lifetime. Emma Olson + Bobbi Barron are the co-owners of Hazel & Rose, a contemporary women’s boutique dedicated to sustainable and ethical fashion. Both grew up in rural towns in southern Minnesota and currently enjoy working, living, creating, and exploring in Minneapolis. You can find them in their shop, located in the Arts District in northeast Minneapolis. Athena Pelton is a Minneapolis-based photographer with a penchant for telling stories in a tangible, interesting, and moving way. She loves whiskey, motorbikes, and her two children. By day she can be found at NECO, surrounded by her creative heroes at the photography collaborative she founded last year. Scott Posner retired as a USDA Forest Service wildlife biologist in 2012, and now performs prairie restoration burns and fights wildland fires through the Bureau of Indian Affairs. He also does overseas assignments for the Forest Service International Programs and has traveled in more than 40 countries. He enjoys hunting, making wine from native berries, and hiking in the pine barrens. Adam Reynolds is a documentary photographer whose work focuses on contemporary political conflict, with a particular emphasis on the Middle East. He pursues research projects that balance photographic creativity with a journalist’s thematic fidelity. He began his career covering the Middle East in 2007 as a freelance photojournalist. Michael Ruminski was introduced to the country and city life by growing up in southeastern Wisconsin. He prefers to spend his time in nature and now would like to advocate on its behalf. He finds himself humbled and enlightened by his surroundings and wishes is to share those experiences. James Sawatzky lives in St. Louis Park, MN but travels and adventures as much as possible. He specializes in wedding, engagement, and portrait photography. As a photographer he strives to go the extra mile to bring fresh new ideas and quality to each and every shoot. 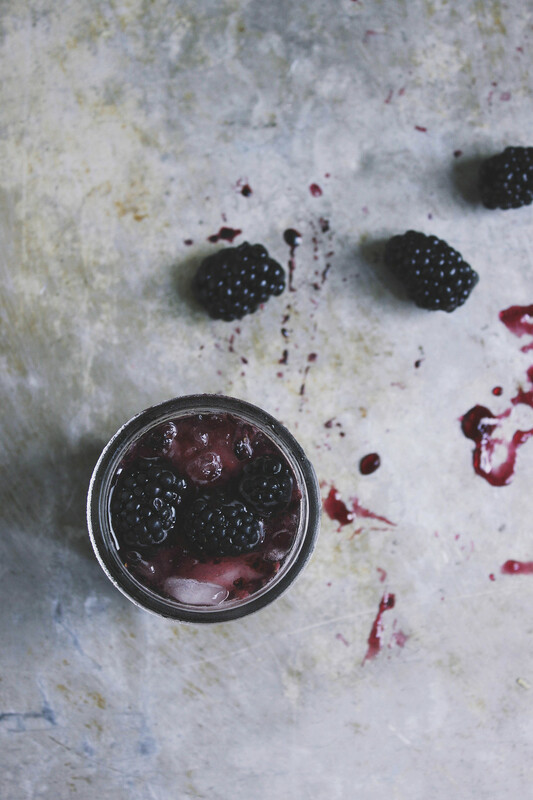 Annie Wang is a freelance food writer and photographer based in Minneapolis, MN. Raised in the suburbs of Minneapolis with family roots in Taiwan, she loves creating Taiwanese recipes with a Midwestern flair. A self-proclaimed wine and whiskey snob, she has a passion for pairing fine wines with junk food. Samantha Weiss-Hills is a former museum worker bee turned freelance writer, editor, and recipe developer based in Bloomington, IN. When she’s not writing, Sam probably has her head stuck in a wine book (she’s a sommelier-in-training) or can be found making gelato. Shelly Westerhausen is the author and photographer behind Vegetarian ‘Ventures, a meat-free blog that focuses on the adventurous side of vegetarian cooking. She’s a freelance recipe developer, writer, and photographer whose work has been featured both online and in various print publications. She released her first cookbook this year, Vegetarian Heartland, and is ramping up to release her second in spring 2018. Michele Witecha works for the Wisconsin Department of Natural Resources as a prescribed fire specialist. She has been working with prescribed fire for nearly 15 years in multiple states throughout the country. She lives in Lake Mills, WI with her husband, daughter, and their upland hunting dog, Molly. This year's Spring + Summer issue includes interviews with an incredibly talented bartender from a favorite Minneapolis diner and periodical shop owners from Indianapolis, recipes from a farm dinner hosted in the middle of one of Chicago's industrial neighborhoods, and the story behind Missouri's Queen City. Jim Adame is a Michigander, barista, and business owner. He opened the Loch Coffee Company at the age of 19 with the intent to introduce craft coffee to the small, growing community of Midland, Michigan. He spends the majority of his free time playing music, longboarding, and raising his pup, Björn. Dakota Arkin is an avid traveler and dedicated adventurer. She fell in love with the Midwest through her Minnesota-born husband. She holds a MA from the American University of Paris and a BFA from New York University’s Tisch School of the Arts. Benjamin + Janneane Blevins have accumulated a depth and breadth of skills related to print publications, editing and art direction during the last decade. They opened PRINTtEXT in 2013 as a shop, studio and project space, dedicated to periodicals and the conversations & communities those publications support. You can say hi to them, along with shop dogs Huckleberry and Katy, at their Indianapolis shop. Kelly Connolly is the curator and owner of Nimble Well, a rental company in Chicago that focuses on unique tabletop event decor. Kelly lives in the Albany Park neighborhood of Chicago with her husband Dave and son Emerson. The city is home, but nature always calls, especially Upper Mississippi, Northern Michigan, and the Boundary Waters. Heidi Moorman Coudal is the is owner and Culinary Director of Big Delicious Planet Catering, Canteen & Urban Farm, the country’s first catering company to become a 4 Star Certified Green Restaurant. Despite spending her childhood moving around in a military family, she always considered Chicago her home base and made it her home after graduating from college. Her true passion is traveling and exploring the world with her husband and three teenagers. Sarah Crowley is a Montreal-born digital marketing manager at BDP with a legendary sense of humor. If you're not sure she's joking, safe to assume it was by design. She also is an enormous fan of submarine sandwiches and photographing literally anything that grows out of the earth. Isabel Fajardo can usually be found hiding conspicuously behind her 35mm Canon AE-1. She enjoys exploring the Minneapolis music and art scene, bakery-hopping, and going on walks with loved ones. Janelle Gonyea is a stylist and designer specializing in creating unique concepts for petite events, photo shoots, interiors and products. Over the years, she has developed a trained eye for curating collections, anticipating design trends, and creating branded vignettes. By working together to create an overall concept with her clients, she is able to design and style their project to establish a vision for telling their story and engaging their audience. Tytia Habing lives and works in Watson, Illinois near where she grew up on a working farm. Having spent most of her adult life living in the Cayman Islands, she moved back to her roots a few short years ago. 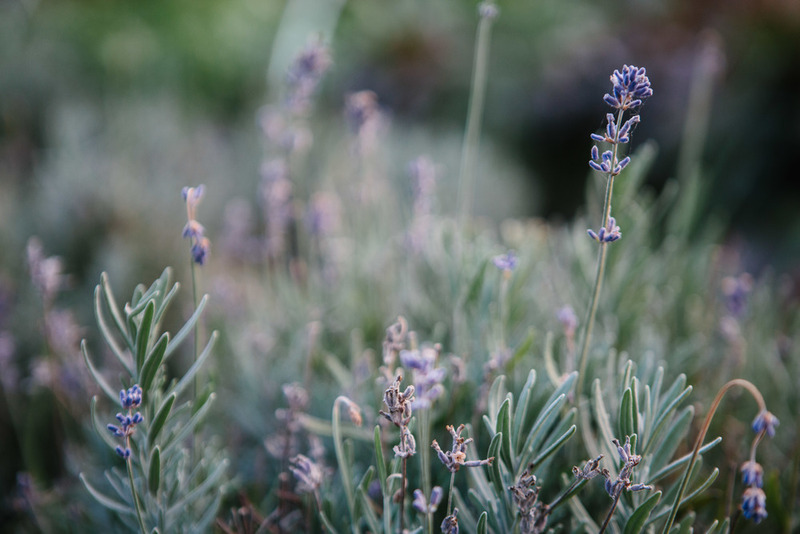 She holds degrees in both horticulture and landscape architecture and is a self taught photographer. Adam Henderson is an artist and illustrator currently living in Chicago, Illinois. His work is inspired by the people and places around him, and his goal is to create paintings which feel as alive and complex as the subjects themselves. Pat Hogan is a designer, photographer, and storyteller who was born in New Orleans, grew up in Ohio, and is currently living in San Francisco. He appreciates new experiences, good conversation, and old school hip-hop. He enjoys shooting lifestyle, documentary, action sports, and fashion. He looks forward to letting his experiences guide is photographic work. Kyle John is an internationally recognized fine art photographer specializing in editorial, lifestyle and wedding photography all around the world. With his at ease approach, each image is carefully composed to display the raw beauty and emotion in each moment. His distinctive style draws inspiration from all things natural, organic and genuine, while preserving the authenticity in telling each story. Eliesa Johnson is a photographer based in Minneapolis and the owner of Eliesa Johnson, The Restaurant Project, Photogen Inc., Rivets and Roses and ELIESA Consults. It is her goal to create visual stories and find the connection between the subject and the viewer. She likes to show the moments that are unseen and share them with the world. Taylor Killough is a nomad at heart, but happy to be back in the Midwest - or right next to it, anyway - while living and working in Louisville, Kentucky. She's happiest when reading, writing, helping things grow, and exploring the outdoors, and especially when she can do all those things at once. Molly Kobelt is co-owner of Field & Florist, a Chicago-based flower farm and florist. Field & Florist offers floral arrangement and styling for weddings and special events, as well as cut flowers flowers for the floral industry and general public via our market and shop in Chicago's Wicker Park neighborhood. Jessica Leng and Zac Sturgeon are a creative couple calling the Great Lakes State their home. When they're not exploring what Michigan has to offer, they can be found warming up in coffee shops regaining the feeling in their toes. Ana Pierce is a freelance writer, editor, and photographer living in Springfield, Missouri. In her free time, you can find her seeking out a good honey latte and/or just trying to keep another houseplant alive. Michele Popadich was born and raised in Chicago and is happy to be beginning her career in her hometown. She is busy working as a project manager at a tech company and using every spare moment to write. Simeon Priest was born and raised in South Minneapolis and is the beverage director at the Hi-Lo Diner. When he’s not busy keeping the diner relevant in the cocktail world, he can be found enjoying time with his wife, family and friends, or on the back deck of a boat anchored somewhere sunny. Jaclyn Simpson grew up in the Midwest. She moved to Colorado for a stint before finding her way back to Chicago where she started her career as a photographer. She is mildly obsessed with beautifully designed spaces and finding the world’s best tacos. Colby Wegter is Iowa farm raised, New York educated, and Minnesota shaped. From growing up near a town without a stop light to working in New York City’s Chinatown to finally landing in St. Paul, Colby looks to converse, learn, and attempt to tell. He feels more at home in Minnesota than anywhere else and enjoys her beauty daily. This year's Fall + Winter issue includes recipes that will warm you during the cooler months, steps you need to host a beautiful dinner party, and in-depth interviews with an Iowa-based painter, Chicago neighborhood bistro, and independent publishing house in Indiana. Thomas Agran was born in Kentucky and grew up in southern Ohio before attending college in rural Iowa. He paints, gardens, teaches, and runs Burrowing Owl Bakery in Iowa City, Iowa. Eden America + Ruth Yaro are the stylist and photographer who make Photanical (Photo + Botanical). Together they host workshops that promote creativity and community in northern Indiana and Chicago, Illinois. Tony Bezsylko is sous-chef and co-owner of Chicago's Cellar Door Provisions. Much of his cooking background lies in tasting lots of beautiful food white in the Bay Area as a philosophy student and helping out friends here and there with various food and wine project on the side. His cooking these days focuses on learning how to meld precise and technical cookery with a spirit of love, generosity, and plenitude, while his more managerial work focuses on helping to create the most fulfilling and uplifting party as is possible. Lindsay Cheesebrew is a chef and half of the husband-and-wife duo of the food blog, Bird + Cleaver. She runs a specialty catering and events business and resides in Indiana with her family. Nico Ciani is a freelance photographer and designer living in Cleveland, Ohio. He frequently finds himself in Chicago, Illinois where he records and plays music with different bands. He hopes to spend his days traveling, skateboarding, and taking photos of interesting subjects. Teresa Floyd is a writer, food photographer, and former pastry chef living in Kansas City, Missouri. She's an editor for the online food publication feedfeed, has contributed to Food52, and is the creator of the seasonal pastry blog Now, Forager. When she is not creating you can find her perusing the local famers' market, eating chocolate, or researching where to travel next. Tim Folkert is a surfer and shaper who spent 11 years surfing and exploring the Pacific Coast around Santa Cruz, California, before returning back to Michigan to raise his family. He and his wife Sara have three fun and energetic young kids who keep them humored and exhausted. In the rare moments he is not parenting, shaping, or surfing, Tim enjoys various modes of outdoor recreation, advocating for water safety on the Great Lakes, and exploring unique places with his wife. Jesse David Green is a photographer based in beautiful Detroit, Michigan. He tells stories of makers, business owners, and couples in love in Detroit, Northern Michigan, and around the country. Jill Happaniemi grew up in Michigan with a family who cared about what they ate, and who instilled her with a passion for food and its ability to bring people together. She now lives in Melbourne, Australia, though her roots are still deep in the Midwest. Whether it's berry picking in the summer or apple plucking in the fall, she goes back to the Mitten each year to reconnect with what she still calls home. Andrew Jowett is a Michigan-based photojournalist gaining daily inspiration from the Great Lakes. He’s usually found in or near the water with sandy feet and camera in hand. Theora Kvitka is a comics artist and illustrator who draws material from eight years of living and figuring things out in rural Ohio and Chicago, Illinois. Her work has appeared in The Guardian, Lenny Letter, and Broken Pencil Magazine. Currently, she's channeling her millennial angst into a weekly webcomic called Urbanity Planet. Christopher Lee is a Mechanic, photographer and Detroiter. He has a BA in sociology from Hope College and an MFA in Photography from Cranbrook Academy of Art. He owns too many cars. Ethan Pikas is the executive chef and co-owner of Cellar Door Provisions, a restaurant whose commitment is to sourcing from the bottom up. He enrolled in culinary school eager to develop technique in both savory and pastry, skill sets with which he is still constantly progressing and experimenting. Along with partner Tony Bezsylko, Pikas launched Cellar Door in 2014, striving to create a personal and exceptional take on Midwestern cuisine that is simultaneously inventive, gracious, warm, and familiar. Lindsay Welsch Sveen grew up in Illinois, spent a decade in New York, and now lives in Bloomington, Indiana. She writes and teaches writing at Indiana University. She also runs a textile history and DIY blog called The Fiber Archive. Richard Wehrenberg, Jr. is a poet, book designer, and wolf hybrid living in Bloomington, Indiana. He is the author of Hands and co-author, with Ross Gay, of River. He is the co-founder of Monster House Press, a nonprofit publisher of emergent literature, art, and thought operating with gratitude in Bloomington, Indiana. In his most recent past life, he was a surgeon from Maine and died in 1946. Nolan Wells is a web and graphic designer who makes websites, pictures, and other good stuff. He currently works as a senior designer at a creative agency on Chicago's north side. This issue includes interviews with members of Indiana’s first organic dairy farm, recipes designed for road tripping, illustrations of notable figures keeping the Midwest love alive, and the story of a coffee shop that began with a simple yellow cart. Gail Alden was raised in Indianapolis, Indiana, and is proud to help keep Indiana on the map in her role at Traders Point Creamery. She loves planning parties, enjoying good food, helping people create memorable moments, and her three granddaughters. Justin Armstrong considers himself a proud adopted Hoosier who is happily raising his family in Indianapolis Indiana, where he enjoys environmental conservation, and living life raw. He has put down deep roots in Indiana's agricultural and agritourism communities, including being part of Traders Point Creamery in various capacities since its earliest days. 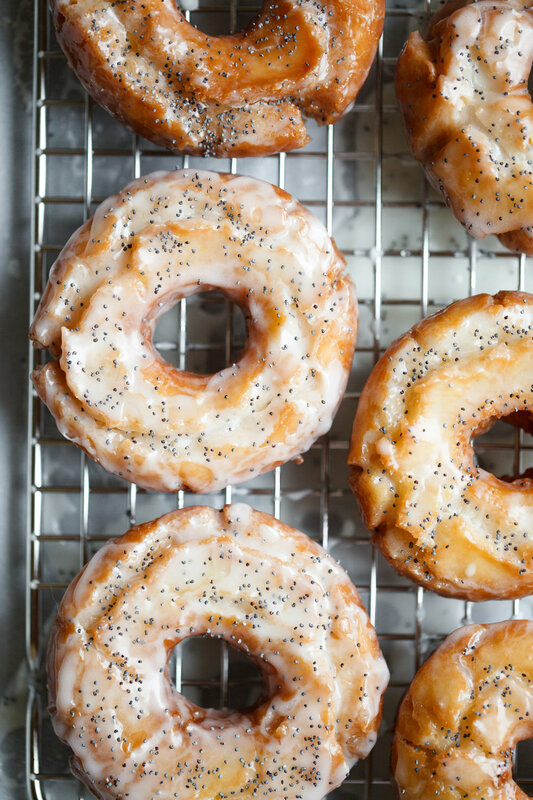 Brett F. Braley is a native Hoosier and the writer, recipe developer, and photographer for his blog, Fig + Bleu. Currently in Pennsylvania, Brett spends his time reading through his mother's cookbooks and playing with his dog, Milo. From Italy to San Diego, Brett has lived in a few varied locations, but never one as close to his heart as Indiana. Brandon Canfield is a chef with over 12 years experience in Michelin-starred fine dining restaurants, boutique hotels, and both local and corporate establishments. His skills and expertise have been honed in major food cities including New York City, Chicago and San Francisco. He uses the historic and traditional cuisines of the Midwest combined with forward-thinking creativity to shape inventive fine dining meals. Mary Catterlin and Amy Lukas are adventurers, writers, public speakers, and Great Lakes advocates. Growing up on the south shore of Lake Michigan has deeply shaped their lives and defined their unconventional yet entirely fulfilling careers. Cynthia Drescher is an Ohioan, avid scuba diver, and professional travel writer. Despite flying over 200,000 miles every year and having traveled to all seven continents, she always returns to the Midwest to continue her adventures. She aspires to begin flying lessons for her private pilot’s license. Steven Drescher is an Ohio-based freelance photographer whose recent travels include driving the Garden Route in South Africa, taking the back roads around El Salvador, and camping in the Dry Tortugas, off the Florida Keys. If he could have his way, however, every day would be a summer day of jet skiing and fish frying along the southern shore of Lake Erie. Rachal Duggan of RADillustrates is an Illustrator and workshop instructor in Chicago. Her clients include the Chicago Reader, the Pitchfork Review, Newcity and Tom Tom Magazine. Her work has been exhibited internationally and she regularly collaborates with other illustrators and artists. Jesse David Green is a photographer based in beautiful Detroit. He tells stories of makers, business owners and couples in love in Detroit, northern Michigan and around the country. Lisa M. Hahn is a positive human living in the Ravenswood neighborhood of Chicago, Illinois with her husband and pup. She is a lover of animals and all things purple. Technical writer by day, curious creative by...always. Jackson Hooley is the Farm Manager at Traders Point Creamery. He hails from Goshen, Indiana, where he grew up on his family's dairy farm. Libby Hopper is a jewelry designer and metalsmith based in Detroit, Michigan. When she's not creating in her home studio, you can find her perusing estate sales, reading a good science fiction novel, or spending time with her two favorites, fiancé Alex and dog Tucker. Danielle Koch works at the Lutheran School Services in St. Paul, Minnesota. She served as a US Peace Corps Volunteer in South Africa from July 2013 - August 2015. She is a Luther College alumna. Emily Kozik is an artist living and working in Chicago, Illinois. She loves music, traveling and ridiculous tiki drinks. Someday, she hopes to find the perfect white t-shirt. Dr. Fritz Kunz and Jane Elder Kunz are the founders and co-owners of Traders Point Creamery, Indiana's first certified organic dairy farm. Both Hoosier natives, they have raised up their family and their business on Jane's grandmother's land, just outside Indianapolis. Dr. Kunz also maintains a medical practice, which has informed the company's strong emphasis on healthful, nourishing food from the pasture to the plate. Danielle Wolter Nolan is an adventurista who has loved the outdoors all her life. Along her with her wife, she co-founded DNK Presents, a company that provides guided adventure retreats to encourage a healthy, happy community through active outdoor challenges and experiences. Amy Oelsner is a musician who lives in Bloomington, Indiana. She plays guitar in the two-woman band Brenda's Friend, as well as her solo project, Amy O. She is the Zine and Creative Writing Program Director at Rhino's Youth Center, a multi-media Afterschool Center for teens. In June 2016, she will be self-publishing the zine Yoko Oh Yes! Cathleen Paquet has been playing in bands and writing for zines and blogs within the DIY punk community for 18 years. She owns Hairstream Studio in Bloomington, Indiana, where she works as a hairstylist. Evan Perigo is a photographer currently living in Chicago, Illinois. He enjoys traveling, long distance running, authentic tacos and going home to the great state of Indiana. Darin Schwartzentruber is originally from Goshen, Indiana and made his way to Traders Point Creamery where he worked for five years with different aspects of the farm. He finds himself most happy surrounded by quality people and delicious food. An ideal evening for him would be spent hiking, foraging and fishing for his dinner. Joanna Tilton is a proud Midwesterner with an an affinity for travel and an interest in place identity. She dreams of owning a bed and breakfast on the shores of Lake Michigan. Until then, she is busy celebrating all things large and small with cake, confetti and champagne toasts in Ypsilanti, Michigan. Samuel Welsch Sveen graduated from Cornell University with a BA in English before working as a barista at Gimme! Coffee for two years in Ithaca and Brooklyn, New York, New York. He now brews A LOT of coffee in Bloomington, Indiana, with his wife, Lindsay, and two dogs, Oulala and Hildegaard. 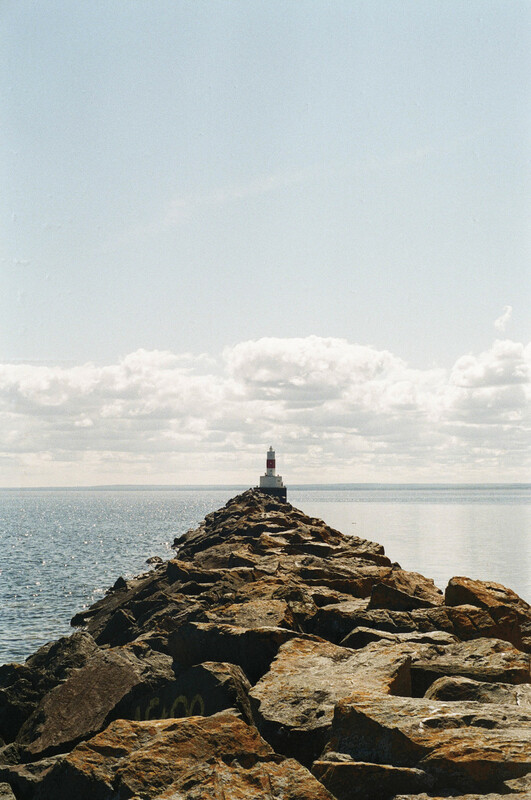 Samantha Vanderlist is a photographer out of west Michigan and couldn’t imagine life without Lake Michigan. She is drawn to the emotional side of photography. When she’s not working she can often be found sending funny Snapchats or reading books. Kelsey Weber is a photographer turned food stylist turned art director whose favorite memories include good people, good food and a good adventure. She spent most of her life living in Chicago, Illinois, but has found the last five years living in Michigan filled with some of the most inspiring moments of her life. If the Midwest had higher mountains, she’d never leave. This issue contains profiles of inspiring Midwest businesses, collaborative storytelling projects, recipes for seasonal cookies, photographs of Chicago buildings in their deconstruction and so much more. Sherrie Castellano is a certified Health Coach, food writer and photographer based in St. Louis, Missouri. She writes the vegetarian and naturally gluten-free flood blog, With Food + Love. Sadie Dempsey is a 24-year-old film photographer from Wisconsin. She spends her days taking photographs, adventuring and making zines at We Dream in Analogue. Lisa Dorazewski + Matt Tobey are natives of Ohio and Michigan respectively, but now call Bloomington, Indiana, home. They are trained artists, musicians and self-taught vegan bakers. Together they own and operate Rainbow Bakery. Shane + Melissa Douglas of Douglas & Co. started their company just over one year ago. With all of their manufacturing in Detroit, Michigan, they take pride int he Midwest. They focus on fine leather goods and lifestyle products. Eric Ellis was reared and molded by Indianapolis and Central Indiana. He graduated from Butler University in 2012. His works have previously been published in Indiana Science Fiction Anthology 2011 and Florida Speaks. He currently lives in Phoenix, Arizona, and hopes to imbue the Sonoran Desert with some Midwest charm. Teresa Floyd is a professional pastry chef, freelance photographer and food writer based in Kansas City, Missouri. She is the creator of Now, Forager, a food blog featuring seasonal pastries and confections. Jesse David Green is a photographer based in beautiful Detroit, Michigan. He tell stories of makers, business owners and couples in love in Detroit, Northern Michigan, and around the country. 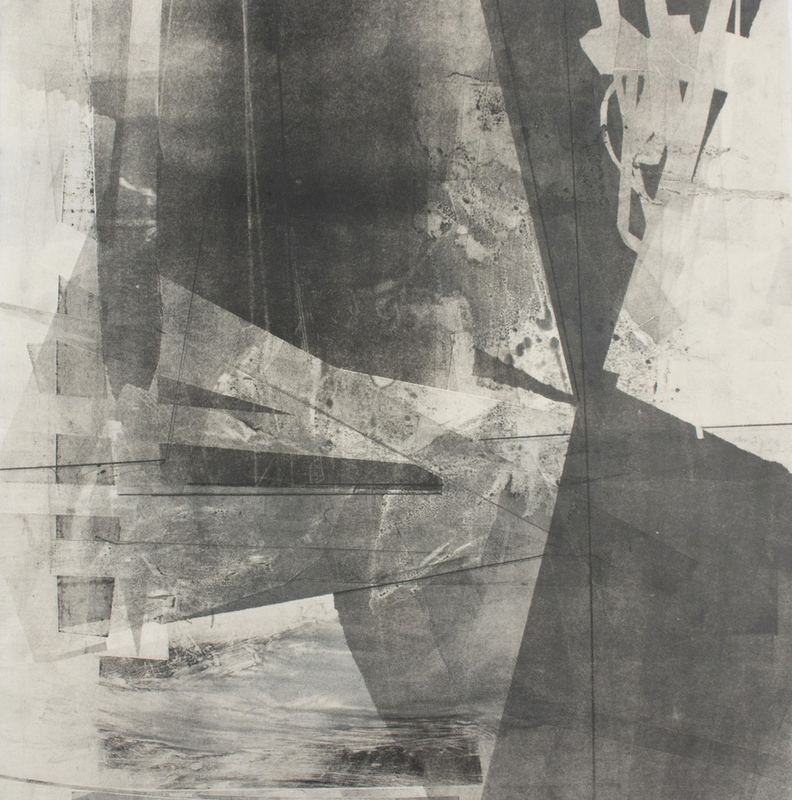 Kristy Hughes is an artist and printmaker based in Bloomington and Indianapolis, Indiana. She graduated with a Master in Fine Arts in printmaking from Indiana University in 2014, and is currently the 2015/16 artist in residence at the Stutz Artists Association in Indianapolis. She has a cactus named Cilantro and a heck name Pepperoni. Alyssa Johnson is a public health student in Minnesota who loves to hike, bike and eat along the shores of beautiful Lake Superior. Kyle Johnson is a high school senior and amateur photographer born and raised in Northern Minnesota. Taylor Killough is a journalist, aspiring writer and radio maker. She's an Illinois native who is currently spreading the good Midwestern work on the East Coast. She knows one day she'll come back to her roots. Caitlin O'Hara was born overseas in Huddersfield, UK, but ventured to the Midwest as a child and grew up chasing fireflies in the Hoosier state. She graduated from Indiana University in 2014, and spent more time working on the Indiana Daily Student than doing coursework. Her photographs have been featured in the New York Times, the Washington Post, and the Indianapolis Star. Sonja + Alex Overhiser are the husband-and-wife team who develop and photograph healthy, whole foods recipes published on their blog, A Couple Cooks. They are advocates of fresh, seasonal eating and home cooking, and live and work in Indianapolis, Indiana. Jason Robinette is a Chicago-raised, Brooklyn-based photographer, His main area of concentration is portraiture in the commercial, editorial and film fields. He also continues to focus on personal work such as The Deconstruction Project featured in this issue. 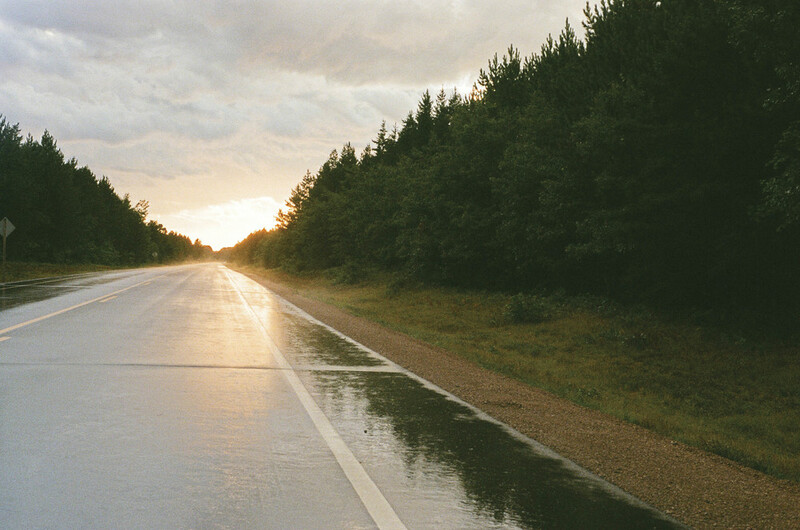 Julia Ross is a photographer based in the Midwest and travels the country in search of camp-inspired lifestyle photos. Claire Snarski + Lauren Wendt are Chicago-based friends who run the lifestyle blog Foxtail + Moss, and Internet destination for the design and DIY inclined. They also curate and host gatherings, workshops and events that focus on bringing together a creative community and supporting local and small makers and entrepreneurs. Claire Rose Staszak believes in the power of sanctuary. She helps clients connect to their personal vision of sanctuary, both material and spiritual, through her work designing interiors and teaching yoga. 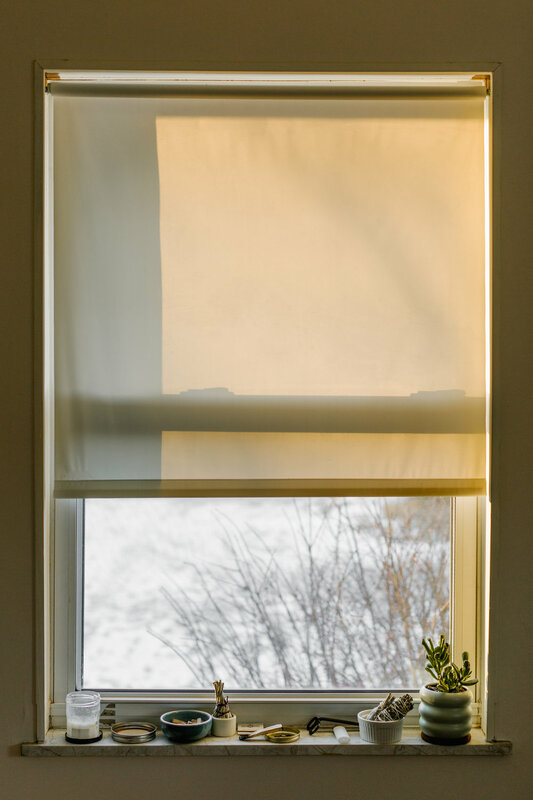 Claire shares interior design advice and inspiration on her blog, Centered by Design. Emily Watz is a thoughtful designer with an affinity for plants. When she isn't designing websites and brand identities for her clients, she's getting lost in the clouds somewhere between the beaches along Lake Michigan and the coffee shops of Grand Rapids, Michigan. Courtney Ruth Werner graduated with a major in psychology. She is a self-taught artist from San Diego, California, and enjoys writing, painting, interior design and composing music. When she isn't creating, she enjoys meeting new people around the globe and gathering creative inspiration from their life stories. Jane Wunrow has been exhibited in solo and group exhibitions in galleries and shops. In 2007, she received a BFA from the College of Visual Arts in Saint Paul, Minnesota. This issue is filled with must-try recipes, an inspiring Midwest Road Trip feature, gorgeous photographs from an Indiana flower farm and so much more. Chris Apap is an illustrator and graphic designer now living in Chicago. He’s originally from Southeastern Michigan, and enjoys being out in nature in any capacity possible, riding bikes and spending time with his wife and their friends. EE Berger was born north of Detroit and studied photography at the College for Creative Studies. Shortly after graduating, she moved to Brooklyn for five years. Although she enjoyed every minute of it, she always wanted to return to the city of Detroit that she loved so much. She finally got that wish in September of 2014, and she is grateful daily to be back in the Midwest. Sherrie Castellano is a certified Health Coach, plant-based chef and freelance photographer based in St. Louis, Missouri. She writes the vegetarian and naturally gluten-free food blog, With Food + Love. Jill DeVries is a wedding and commercial photographer based in Grand Rapids, Michigan. She can usually be found starting a dance party or eating tacos. Her true passion is travel, but she loves calling the Great Lakes State home. Paul Fithian has had a love for all things on and under the water since infancy. Baptized in the Episcopal Church and the Jersey Shore, he was blessed to grow up on the beaches of Southern Lake Michigan and made sure his children did the same. As a fisherman, he enjoys the history and diversity of the paraphernalia as well as the taste of a freshly caught fish. Erin Gavle has a creative mind with a gypsy soul. She’s the owner of and Chief Trinketeer at Eldorado General Store, a well-curated vintage shop in the heart of Corktown, Detroit. Her constant wanderlust leaves her scouring the countrysides in search of the perfect treasures to fill her shop. She enjoys talking adventures over a good glass of red wine surrounded by even better friends. Alyson Hanus is a lifelong Midwesterner, reigning from the beautiful state of Indiana. She lives in Chicago, where she is the Dean of School Support at Gary Comer College Prep Middle School. Her free time is spent going on adventures and exploring the world, making boat loads of jam, creating music with her husband, David, and preparing for Baby Hanus. Kelley Howley is a shopkeeper and interior designer at Hunt & Gather in Grand Rapids, Michigan. She also does marketing for a local university and spends most of her time with her husband, Troy, and dog, Harper. 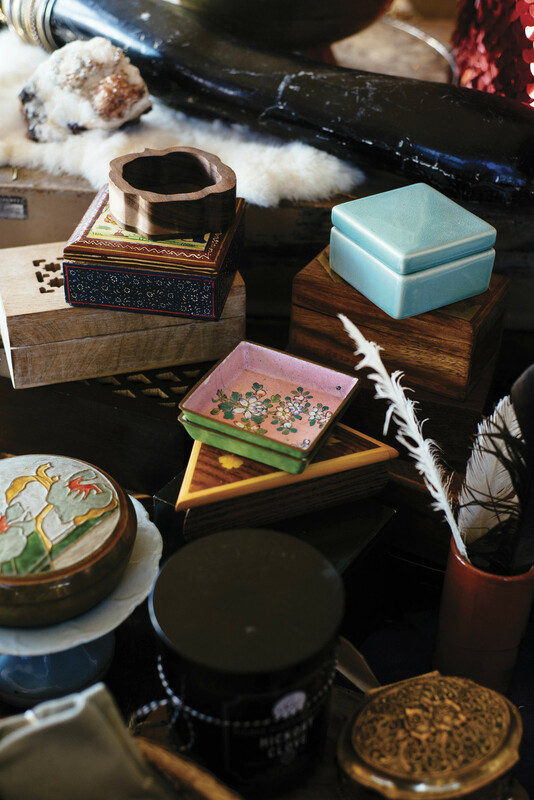 Christina + Dennis Jacobs are the husband-and-wife team behind Arsenal Handicraft. They work out of their small home studio making art and paper goods, agonizing over every tiny detail, illustrating and printing each piece from beginning to end. Jackie Kenyon is a dilettante sommelier and barista who works at the Krasl Art Center and resides in Southwestern Michigan. She is a lover of clean graphic design, classic literature and eclectic souls. She dreams of becoming a mermaid. Dani Kowalczyk is a writer, traveler and global aesthete, continually looking for the new with an appreciation and fascination for the old. Jessica Levin is a visual artist and portrait photographer based in Chicago. Her work is focused on femininity in all its forms, suffused with dreamy light and nature. Aileen + Keara McGraw are 22-year-old Chicago-based twin sisters. Aileen writes, Keara illustrates and both love the work that compassionate ideas unlock. They share a passion for nut butter, proven by matching peanut plant tattoos. Griffen Oellerich is a city explorer, red meat eater and late night dancer. She considers Northern Michigan home and misses waking up to the lake every day. She keeps busy working for HBO® in New York City, filling up the rest of her time getting distracted by the everyday designs in the world. Evan Perigo is a photographer currently living in Chicago. He enjoys traveling, long distance running, college football, authentic tacos and going home to the great state of Indiana. Eli Potter is a Midwest-based photographer. Film is his medium of choice while his friends and travels are his primary subjects. Sonja + Alex Overhiser are the husband-and-wife team who develop and photograph healthy, whole foods recipes published on their blog, A Couple Cooks. Advocates of fresh, seasonal eating and home cooking, they live and work in Indianapolis, Indiana. Joanna Tilton is a proud Midwesterner with an an affinity for travel and an interest in place identity. She dreams of finding purpose on the shores of Lake Michigan. Until then, she is busy celebrating all things large and small with cake, confetti and champagne toasts in Ypsilanti, Michigan. Emily Watz is a thoughtful designer with an affinity for plants. When she isn’t designing websites and brand identities for her clients, she’s getting lost in the clouds somewhere between the beach on Lake Michigan and the coffee shops of Grand Rapids, Michigan. One of the things we love most about the Midwest is the beauty and brevity of its changing seasons. Issue 2 is all about adventuring, cooking, doing, and being during the fall and winter months of this part of the country. You’ll find everything from Great Lakes surfing, to the best places to visit when in Madison, Wisconsin, to delicious recipes perfect for seasonal gatherings. We encourage our readers to grab a cup of tea (or coffee), your favorite throw, and sink into your most inviting chair with Issue 2. Lisa Adams was raised in the Midwest and is now a food writer and personal chef in New York City. She posts weekly food and thought on her blog, All Good Things. Xavier Alexander & Darko Arandjelovic founded Metric Coffee in 2013. It is their vehicle for fulfilling their coffee dreams. Justin Lee Beckman loves shooting fine art landscapes and documentary. He strives to capture the small details in everyday life that simply pass us by. Sadie Dempsey is a film photographer studying sociology and gender and women’s studies at the University of Wisconsin. When she is not taking photographs, she spends her days adventuring, collaging, making zines, and blogging at Amber Moments. Jack Flynn is a graphic designer, artist, musician, explorer, swimmer, surfer, and lover of the hidden aesthetic. Younsoo Kim Flynn is a budding photog phenom, and is currently the gallery manager at Walsh Projects in Chicago when she isn’t in The Lake with her ever wet partner. Alyson Hanus is a life-long Midwesterner, reigning from the beautiful state of Indiana. Her free time is spent going on adventures and exploring the world, making boat loads of jam, and making music with her husband, David. David Hanus was born and raised in Indiana. He is currently working as a web developer and freelance photographer in Chicago. He loves to travel, play the banjo, and eat onions. Alyssa Johnson is an amateur gardener, casual cyclist, constant learner, and lover of Minnesota’s good ole fresh air. Mike Killion is a Midwest based photographer focusing in actions sports and lifestyle imagery. He is the founder of Great Lakes Surfer Magazine and freelances for clients such as Red Bull and Nike. When not in the studio Mike finds his way to the road to travel and surf on the Great Lakes. Daniel Lund is a history museum professional currently living in the Chicago suburbs,where he was born and raised. Apart from the museum, he spends a good deal of time exploring Lake Michigan locales with his camera in tow. 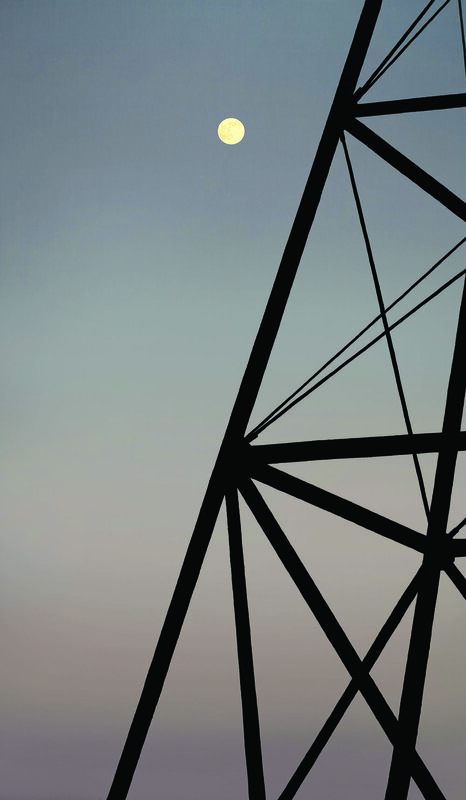 Rusty Malkemes is a photographer based in the Midwest. When he’s not working for commercial clients, he’s exploring the Great Lakes through surfing and free diving. Elaine Miller currently works in the commercial photography industry. Her personal work continues exploring themes of death, transience, memory, and preservation. When not on-set or behind her view camera, you’ll find her enjoying life with family, friends, and her little cat, Loki. Sonja & Alex Overhiser are the husband- and-wife team who develop and photograph healthy whole foods recipes published on A Couple Cooks. Advocates of fresh seasonal eating and home cooking, they live and work in Indianapolis, Indiana. Amanda Paa is a born and raised Minnesota girl who fell in love with fresh wholesome food after discovering the passion of talented local growers and their dedication to the health of the community. Her first book, Smitten with Squash, was published this July, and she is the author of the seasonal food blog, Heartbeet Kitchen. Jackie ‘Rose’ Reisenauer is owner and creative director of Munster Rose, a Minnesota-based floral and event design boutique. She is an advocate for warmer weather, buying local, and cake. Victor Sultana is the owner and crafstman behind Victor Axe + Tool. With quality materials, Victor creates covetable tools and gear that are designed to live on. Alex Swartzentruber is a writer and musician from Goshen, Indiana. Hannah Thompson works as a doula, nanny, and girls’ lacrosse coach. She likes new countries, telling stores, cheese, and dreaming of a career as a backup dancer. 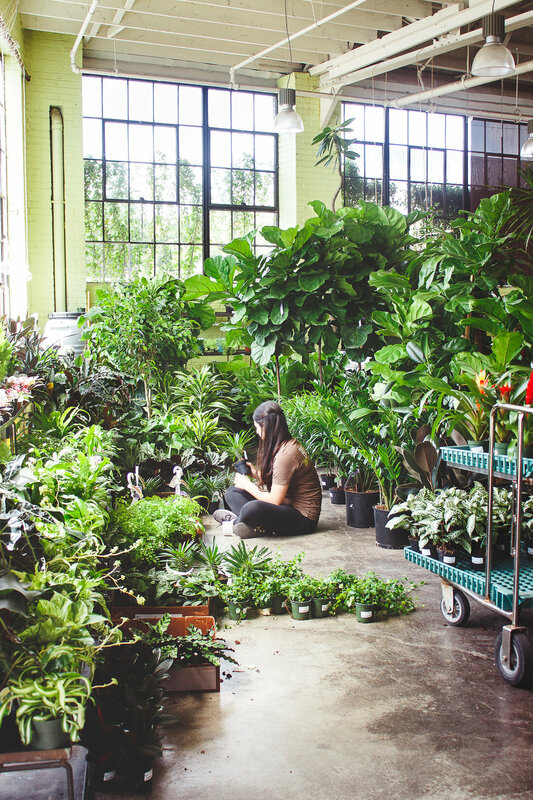 Hannah lives in Chicago’s Logan Square neighborhood with her new houseplant. 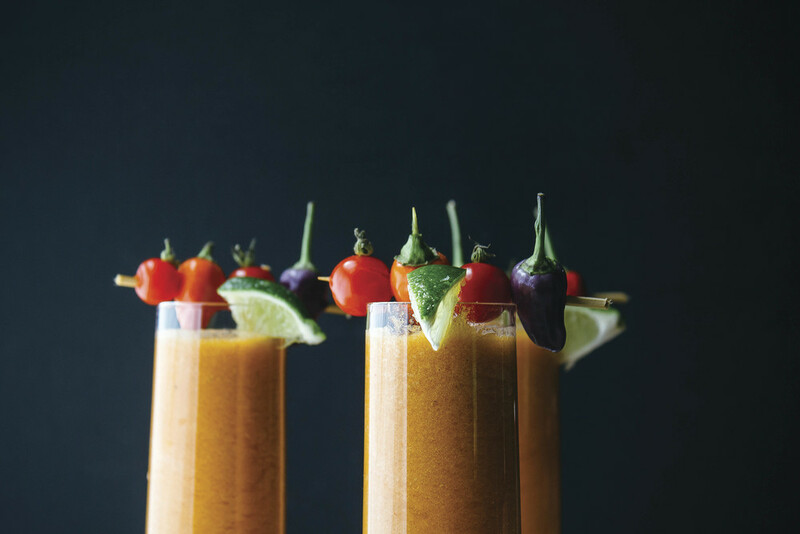 Annie Wang is a freelance food photographer in Minneapolis, Minnesota. She’s the editor of the website Tasteseekers Kitchen and keeps a blog, Frites and Fries. 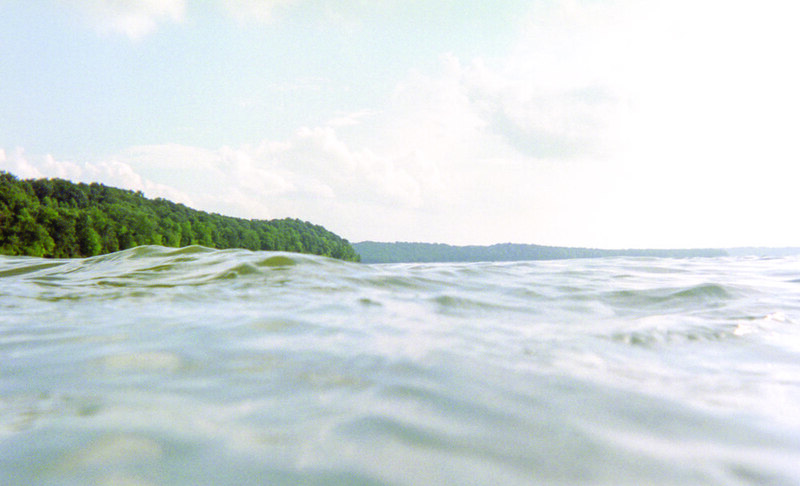 Issue 1 introduces our readers to the adventures that summer in the Midwest brings. A 100 page full-color perfect-bound 8x10 print magazine, it features recipes, photo essays, DIYs, watercolor illustrations, city guides and so much more! Audim Culver + Ivy Siosi are the owners of Siosi Design + Build, a design/woodworking/art team in Bloomington, Indiana. They fell in love in 2010 and quickly began their ascent into adopting the tactical intent to combine history, craft, purpose, and play. Their collaborative practice has since evolved into designing fine furniture, running a business, and finding common obsessions — at the moment, making bows, arrows and targets. Sadie Demsey is a 22-year-old film photographer from Wisconsin, studying sociology and gender and women’s studies at the University of Wisconsin in Madison. When she is not taking photographs, she spends her days adventuring, collaging, and making zines. Danielle Klein Jamnik is a graduate of the French Pastry School and a baker at Floriole in Chicago. She is inspired by the flourishing talent of the local food industry and by the seasonal produce of the Midwest. Danielle makes her home in the Noble Square neighborhood with her husband and two cats. Crystal Neff spent most of her life in the Sonoran Desert and reluctantly found herself in the heart of Minnesota in her early twenties. Her reluctance was short-lived, however, and she developed a fondness for sky-tinted waters and Minneapolis’s thriving art scene. Crystal has since relocated to the West Coast, and spends her days working with artists of all kinds, experimenting with vegan recipes, taking photographs, writing, and exploring. Diana Sudyka is an illustrator and painter from Chicago, who creates book and album covers, screenprinted gig posters, and original watercolors. Anna Wallace was born and raised in Durham, North Carolina. She became an honorary Midwesterner while attending the Cleveland Institute of Art and fell in love with the Rust Belt. Anna returned to Durham post-graduation, where she now works, sells, and shows at many of the local arts organizations. Jaclyn Rose Wright received a BA from Southern Illinois University Carbondale in cinema and photography in 2009. In 2013, she was the recipient of the Fine Art Project Grant from Indiana University. Her work has been shown both nationally and internationally, and has been featured on several internet galleries and blogs. In the spring of 2014, she was the Visiting Artist in Residence at the University of Cincinnati.